Writer, Director, and Producer, Jon Erwin, is known for doing some incredible movies that have touched hearts and changed lives. Along with his brother, Andrew, the Erwin Brothers have brought forth October Baby, Woodlawn, and the incredibly funny, Mom's Night Out. Jon joined us on Encounter Bott Radio Network to discuss two new movies: I Can Only Imagine (in theaters now) and Steve McQueen: American Icon (now on DVD). Both movies are fantastic testimonies of what God can do as He works through ordinary and extraordinary means. 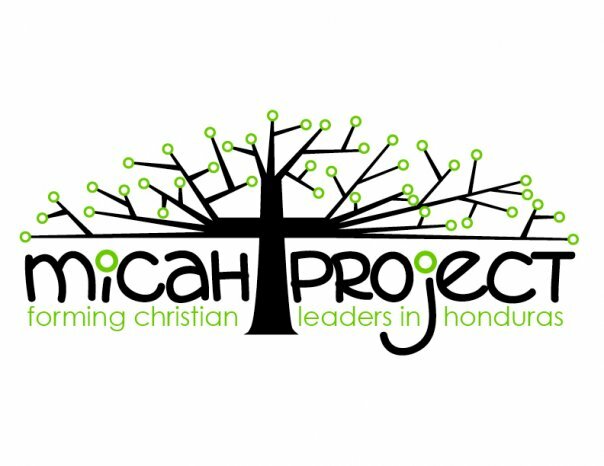 Buckle up and enjoy an interview full of laughs as we talk about some great projects of faith! This interview originally aired on Bott Radio Network KSIV 1320 on March 16, 2018. What does this have to do with www.AlliWorthington.com's appearance as a guest on Bott Radio Network Encounter? That's the image that came to mind as I looked at her new book, Fierce Faith. Worry. Fear. Anxiety. -- LIFE. It can all come rushing at us from every side. And yet, God tells us to trust Him. He's got this (whatever 'this' might be). 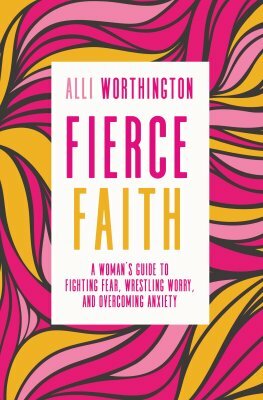 Alli Worthington has walked the journey herself so she speaks from her own path. This interview originally aired on Bott Radio Network KSIV 1320 on March 9, 2018. Bart Millard, the lead singer of Mercy Me, joined us on Encounter Bott Radio Network. While we didn't ask him to sing, we did ask him to open his heart a bit. He shared the story behind the hit song, I Can Only Imagine. Born from a place of redeemed pain and wounds, the #1 song touched countless hearts as God worked through some incredible circumstances to bring the message to light. While you can see the movie at theaters in mid-March, the book is available now. As Bart shared, he was able to testify so much more to God's grace through it! Most Christians recognize and know the name of one of the most prominent persons in the Reformation - Martin Luther. However, far fewer know the story of his wife, Katharina. 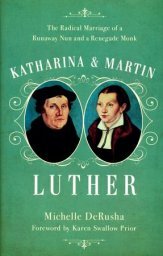 Michelle M. DeRusha, author of the Baker Books release: Katharina and Martin Luther: The Radical Marriage of a Runaway Nun and a Renegade Monk, joins us on Encounter Bott Radio Network today for a wonderful conversation on the story behind this marriage and couple of faith. Join us on KSIV 1320 at 1:30 PM as we begin another program exploring some of the great Christian resources to help guide you in your walk of faith! You can support LRM by purchasing through this affiliate link! Paul J Pastor returned to the Encounter broadcast on Bott Radio Network to share the newly released #ListeningDay book. These devotional books have Scriptures to meditate on during your day. Paul then takes you into a conversation with God as you see how He is inviting you to laugh, cry, and draw closer to Him in relationship. This interview originally aired on Bott Radio Network KSIV 1320 on January , 2018. Robert J Morgan has written a new book based on a problem that is not only prevalent throughout culture, it is also personal. Having struggled with anxiety, he knows both the challenge and the freedom found in Christ. It's not an easy journey, but Rob takes readers through it in his newest book, Worry Less, Live More. Join us for a few minutes on Encounter as Rob shares from Philippians 4:4-9 and explores eight vital practices from the Word that can help anyone "move from fretfulness to faithfulness". This interview originally aired on Bott Radio Network KSIV 1320 on December 22, 2017.